hey anil, I submitted my i130 for my wife who is in pakistan, got a letter of confirmation on june 29 2018 they received it. I am also a US citizen,, when do you think ill get the approval for my wife? I am stopping giving estimates from today as it is not possible to reply to each comment asking for estimate individually. Please use the dates above to estimate your approval date yourself. My husband is green card holder he applied i-130 in october,12 2017 at california center when i expect approval??? You can expect your I-130 approval by August 2019 end. My husband is us citizen. He applied for my spouse visa i-130 and uscis receive my case on August 23th 2018 at Nebraska service center. I didn’t receive my approval it’s more then 7 months. How long does it take for my approval. You can expect your I130 approval by June 2019 second week end. Am i going to receive approval letter by june 2019 second week. Hi my pd is 10 july 2017 , for f2a is it normal that we havent get our approval yet ? Please check the estimated approval times above. 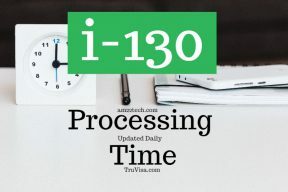 You can expect your I130 approval by Oct 2019 third week end. You can expect your I130 approval by June 2019 end. Hello my husband petition for me he is a us citizen our i-130 is in nebraska received date oct 22 2018 i am in mexico how long do we have to wait for approval thanks in advance. You can expect your I130 approval by Sep 2019 second week end. Sorry, I can’t help as you have not shared sufficient information about your case. Hey.As the USCIS has updated their data so now how much long will i have to wait for the approval letter for my I-130 file which was petitioned by my daughter on 27 july 2018 at nebraska Centre she is an Us citizen. You can expect your I-130 approval by May 2019 third week end. Hi, I applied for my mom, receipt date for I-130 was July 17, 2018. The case was moving forward each day, yesterday being on June 20th 2018, but today moved back to April 15th. Nebraska service center. Any idea? USCIS updated their data today and our service matched and verified dates. Is USCIS behind on processing I-130 petitions for spouses of US citizens? My petition was received by the Nebraska Service Center on June 29, 2018. As of yesterday, the case inquiry date was listed as June 20, 2018, however this morning the case inquiry date was updated to April 15, 2018 (an additional two-month delay). Any information you can provide would be very much appreciated. 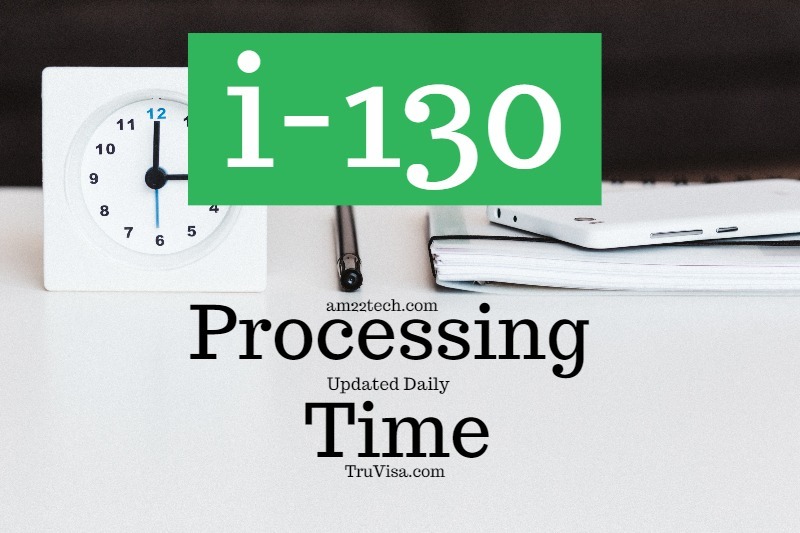 Yes, USCIS updated their data today and processing times have increased.